Dr. John C. Mather is a Senior Astrophysicist in the Observational Cosmology Laboratory located at NASA’s Goddard Space Flight Center, Greenbelt, Md. 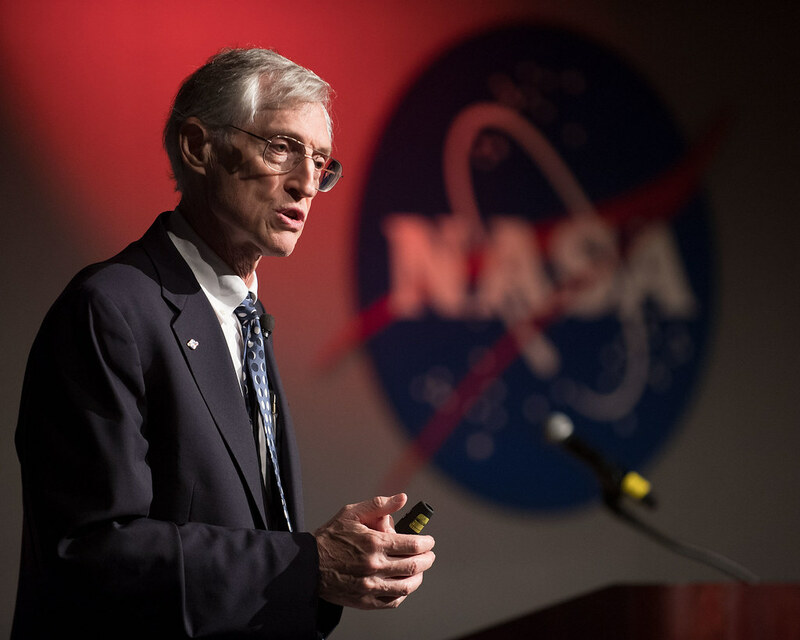 He is also a Senior Project Scientist on the James Webb Space Telescope. He received a bachelor’s degree in physics from Swarthmore College in Pennsylvania as well as a doctorate in physics from the University of California, Berkeley. Dr. Mather’s research centers on infrared astronomy and cosmology. 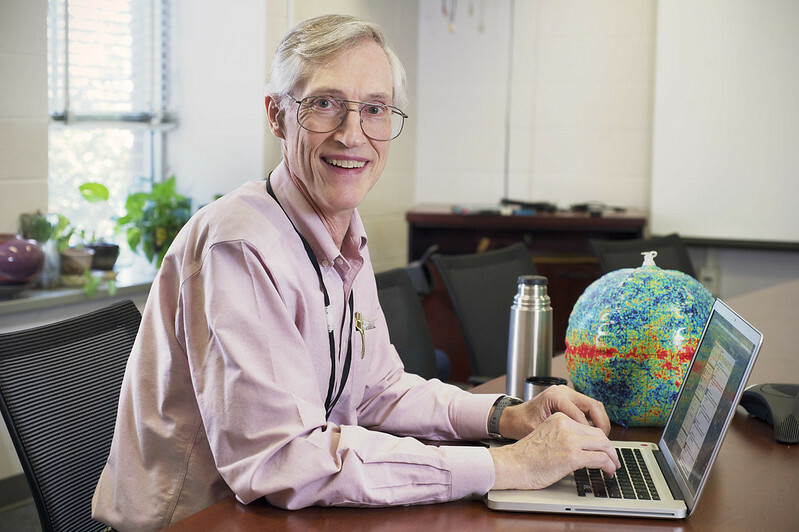 As a National Research Council postdoctoral fellow at the Goddard Institute for Space Studies, New York City, he led the proposal efforts for the Cosmic Background Explorer mission (1974-76), and came to Goddard Space Flight Center to become the Study Scientist (1976-88), Project Scientist (1988-98), and also the Principal Investigator for the Far Infrared Absolute Spectrophotometer (FIRAS) on the Cosmic Background Explorer (COBE). Dr. Mather and the COBE team showed that the cosmic microwave background radiation has a blackbody spectrum within 50 parts per million (ppm), confirming the Big Bang theory to extraordinary accuracy. Dr. Mather has served on advisory and working groups for the National Academy of Sciences, NASA, and the National Science Foundation for the Atacama Large Millimeter Array (ALMA), and the Center for Astrophysical Research in the Antarctic (CAMA). 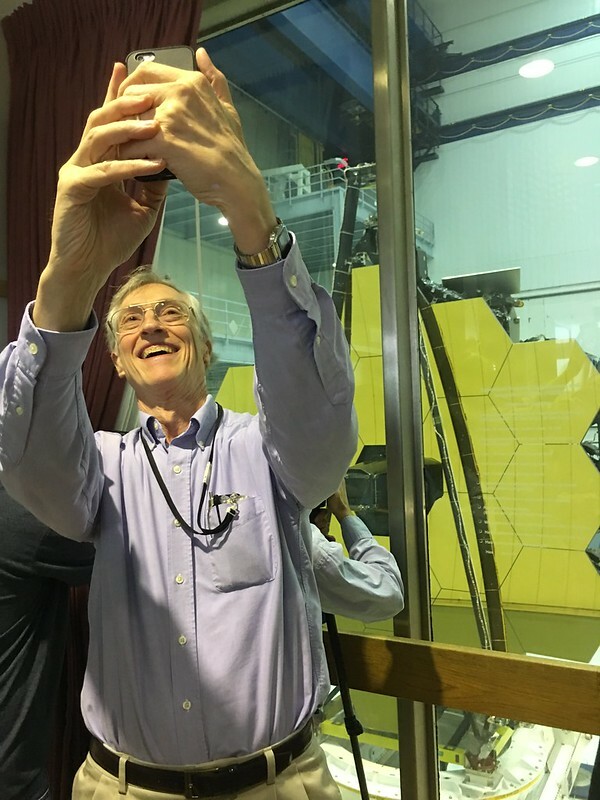 As Senior Project Scientist (1995-present) for the Webb telescope, Dr. Mather leads the science team, and represents scientific interests within the project management. As winner of the 2006 Nobel Prize for Physics, chosen by the Royal Swedish Academy of Sciences, Dr. Mather shares the prize with George F. Smoot of the University of California for their work using the COBE satellite to measure the heat radiation from the Big Bang. Dr. John Mather answering questions on Reddit. Dr. John Mather captured on Twitter during our first Tweet Chat. Dr. John Mather captured on Twitter during our second Tweet Chat.